In the electronics world, we have to run just to keep pace with semiconductors! What matters for cost-effective SI, PI and EMC design is the frequencies at which ICs and switching power devices emit noise, which are also the frequencies at which ICs can be susceptible. 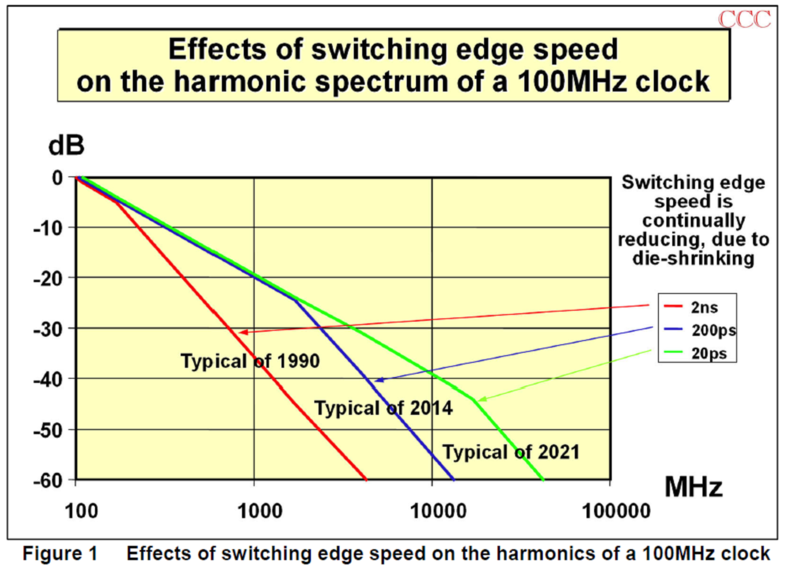 These frequencies are continually rising due to die-shrinking in the semiconductor industry, due to "Moore's Law". When an existing semiconductor die is shrunk, everything about its circuit operation remains the same – except that its capacitances are reduced. Having the same circuit currents flowing in smaller capacitances means that digital signal rise and fall times reduce – i.e. sharper edges – i.e. higher frequency content, as shown in Figure 1. The continual and unavoidable die-shrinking that goes on in the semiconductor industry means that the way in which we design enclosures and PCBs has to continually change. All ICs – not just the newest types – get their dies shrunk about every 2 years. So using the same old types of ICs that gave good EMC on our last project gives us no protection at all from this trend. This is a problem for electronic manufacturers who continue to use the same design and assembly practices, right up until they have a new design that fails EMC and none of their usual ‘fixes’ work anymore. Then they have to delay that project hugely, while they figure out how to change their design and/or /assembly methods to be able to make it compliant. But it is not just a problem for new designs. Existing products in serial or batch manufacture can only be made with ICs purchased at the time, and every couple of years their semiconductor dies shrink and their emissions and immunity get worse. 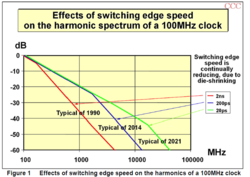 If a product was last tested for EMC more than 4 years ago, and didn’t pass its EMC tests by a large margin at that time, then there is a good chance that testing one made recently will reveal it to be non-compliant, due to its newly-purchased die-shrunk ICs and switching transistors. 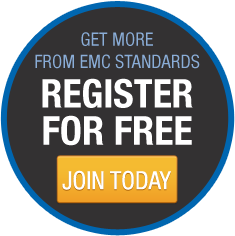 The real problem with selling non-EMC-compliant products is not that the EMC Authorities might find out – it is that such products tend to have worse performance (e.g. signal-to-noise) or be more unreliable in the field. This annoys customers and/or increases warranty costs. Annoyed customers are less likely to purchase our products in the future, meaning that our Sales and Marketing costs have to rise to maintain market share. 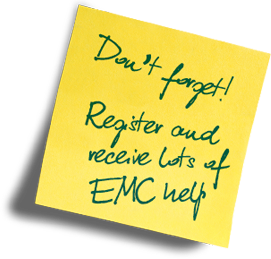 Leaving EMC to laboratory tests at the end of a project guarantees a very painful and costly learning experience every few years, and many of my customers are only my customers because they find themselves in that awful situation! The trick is to anticipate the EMC problems with a new design early in the design process, e.g. by close-field probing of devices. My training courses are based on this 'anticipation' approach, because it is the most cost-effective.